- Exile target creature with power or toughness 1 or less. - Counter target sorcery spell. 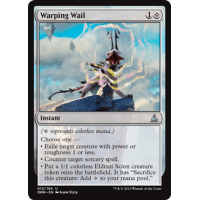 - Put a 1/1 colorless Eldrazi Scion creature token onto the battlefield. It has "Sacrifice this creature: Add to your mana pool."